Simone graduated from LSU School of Dentistry in Dental Hygiene in 1982. She attended UNO prior to attending LSUSD. 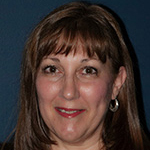 Simone loves her profession and works to enhance her hygiene knowledge by attending regular continuing education courses.